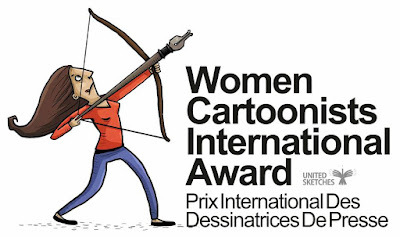 10th International Cartoon Contest 2018 Colima Mexico.. 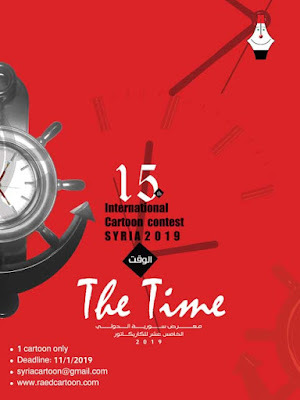 Call To The Tenth International Cartoon Contest Of The International Festival Of Brilliant Minds: "The City Of Ideas"
1. 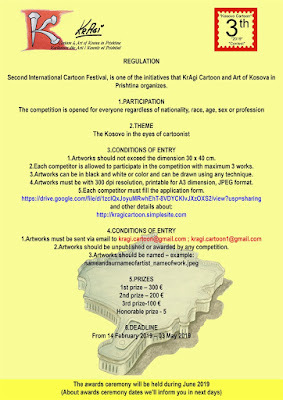 The contest is open to professional and amateur artists from around the world older than 18 years old. 2. All work submitted must be completely original and unpublished. 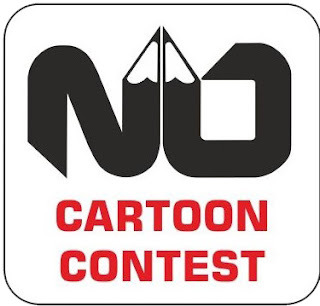 Submissions must not be simultaneously participating in any other contest or event. What is the most burning question of today? What questions should we be asking about current education? 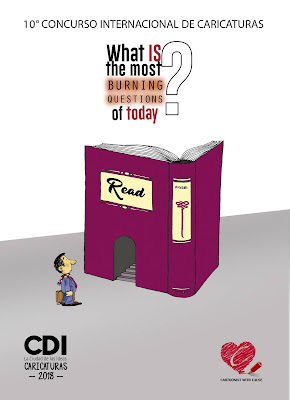 What new questions should be asked regarding the exercise of reading and education? What consequences sprout in an era where a lot of digital information is read in cell phones or computers and not in books? What difference do we find between reading books and digital reviews? What role does the evolution of our species have in the act of reading or not reading? What should we be reading? What books need to be written? Who should write a book and has not yet done so? What topics do we need to read? 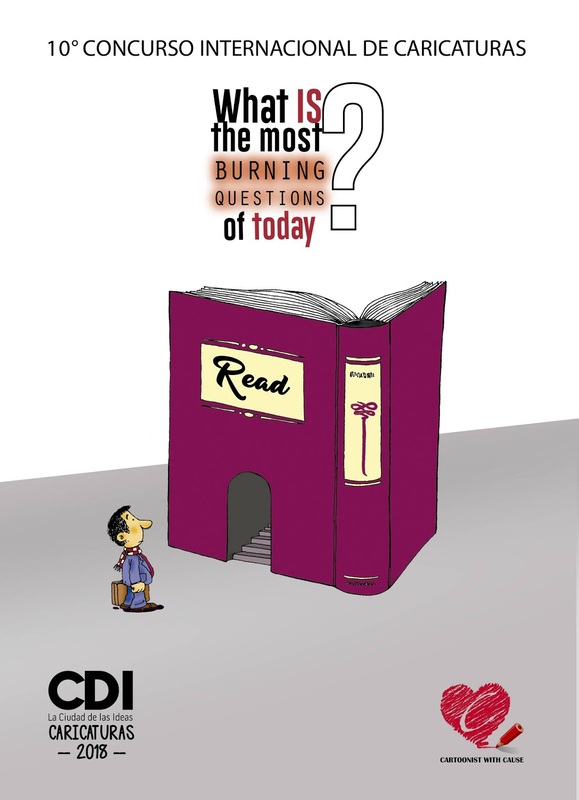 WHAT ARE THOSE BURNING QUESTIONS THAT YOU HAVE NOT DONE concerning READING? 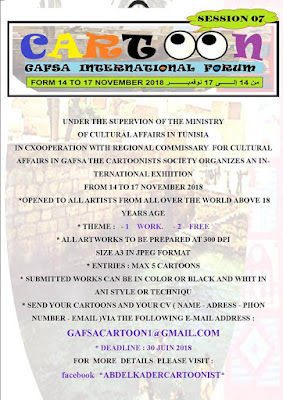 *The organization reserves the right to withdraw from the contest all work considered offensive or that infringes upon human rights and gender equality. 6. The work may not exceed the following sizes: 22cm x 33cm or a proportional size; and if it is a digital work, the resolution must not be less than 300dpi and no heavier than 10 Megabytes. Example: I, (name of the author), certify being the author of the work of the 2017 contest, Beyond the Blank Slate, and submit them to the contest of La Ciudad de las Ideas. 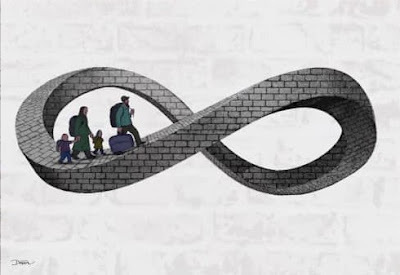 I, (name of the author), accept, for the simple fact of submitting this work under the terms of the contest, the use of said work for the purposes that are considered appropriate by Poder Cívico A.C.
9. Works can be sent by two in two forms: Original or Electronic. 10. The selected works will be exhibited in Puebla, Mexico, on November 16th, 17th and 18th 2018, and they will also appear on the various broadcast medium of Poder Cívico A. C. In our website and social networks. 11. This call will be valid from June 27th until September 24th, 2018. All the work sent by mail or courier service should have this date registered as deadline on the postmark or mail. Winners will be notified to the email included in the information submitted. Please ignore any confirmation mail if it does not contain the domainciudaddelasideas.com or podercivico.org.mx. 13. The jury will be selected by Poder Cívico and it will be able to solve any situation related to the contest that does not obey the established in these terms. The prize might be declared void if the jury deems that none of the works presented have sufficient quality, whose decision will be final. The jury members will be announced once the call is ongoing. 14. Non-winning original works may be claimed by the authors at Poder Cívico A. C. offices three months after the ruling. Any unclaimed original work will remain in custody of Martha Barragán Méndez to return the works after the date established by Poder Cívico A. C.
- An all-expense-paid trip to Puebla, Mexico including: transportation, lodging and food. 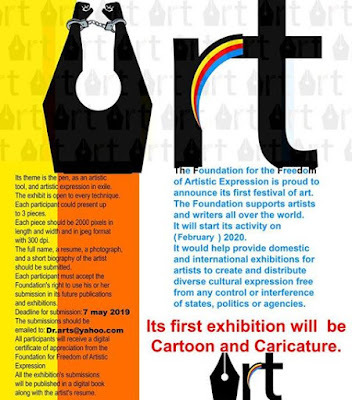 - The presentation of his/her work within the framework of the International Festival of Brilliant Minds: La Ciudad de las Ideas. - A certificate granted in the framework of the International Festival of Brilliant Minds: La Ciudad de las Ideas. - A certificate granted the framework of the International Festival of Brilliant Minds: La Ciudad de las Ideas. If you come from abroad, please be sure to have a valid passport and visa in order to attend the festival in Puebla, Mexico to pick up your prize.